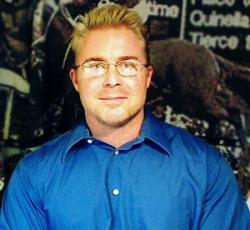 The Sunshine Millions races at Gulfstream Park highlight the betting action this weekend. GP’s stakes-laden card features purses totaling $600,000. 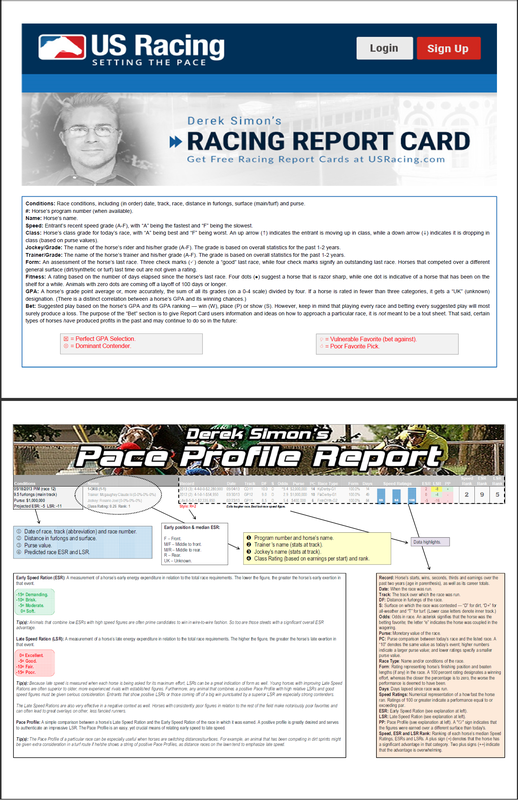 Uses criteria such as speed, form, class and fitness to assess the fair odds of the top four win contenders in each race. 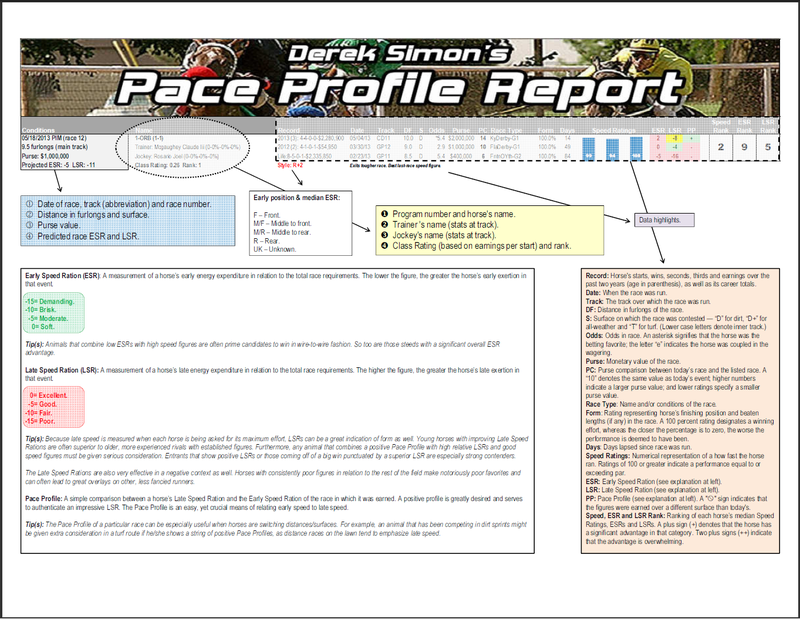 My personal favorite, this report features par speed figures along with my unique speed rations and a bunch of other interesting stuff. Grades (A-F) each entrant in four key categories: speed, class, jockey and trainer. Features a numerical assessment (0-100 percent) — the greater, the better — of each horse’s most recent workout. Below are FREE handicapping reports for the races from Belmont Park, Keeneland, Thistledown and Woodbine for Saturday, Oct. 13, 2018. 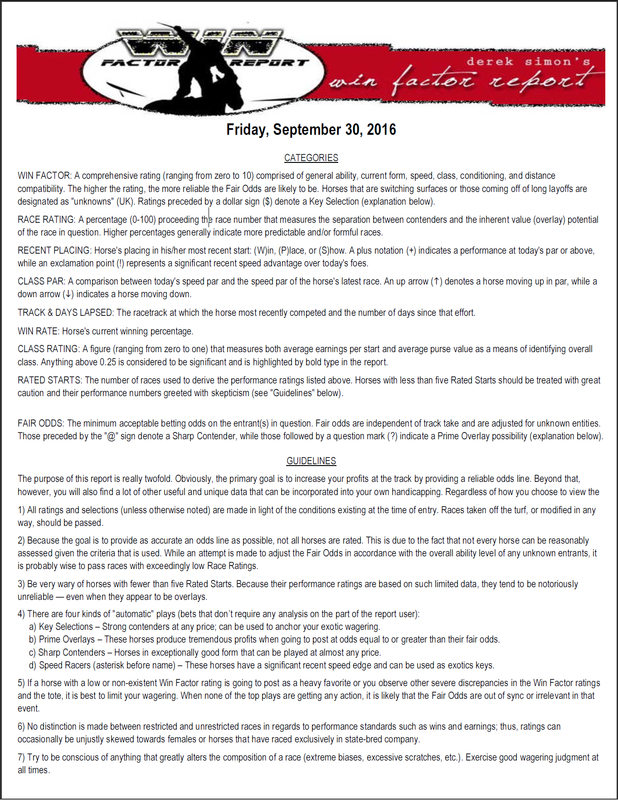 Below are FREE handicapping reports for the races from Belmont Park, Keeneland, Santa Anita Park and Woodbine for Oct. 5-7, 2018. Below are FREE handicapping reports for the races from Belmont Park, Churchill Downs, Meadowlands, Remington Park and Santa Anita Park for Sept. 29-30, 2018. Below are FREE handicapping reports for the races from Arlington Park, Belmont Park, Churchill Downs, Parx Racing and others for Sept. 21-22, 2018. Below are FREE handicapping reports for the top stakes races from Belmont Park, Churchill Downs and Woodbine for Saturday, Sept. 15, 2018. Below are some handicapping reports for Sunday, Jan. 14, 2018. In addition to football, there is some great racing across the country. To help handicappers get a handle on all the wagering opportunities this weekend, I’m offering some of the handicapping reports that I use — for free. There is some great racing on Sunday. 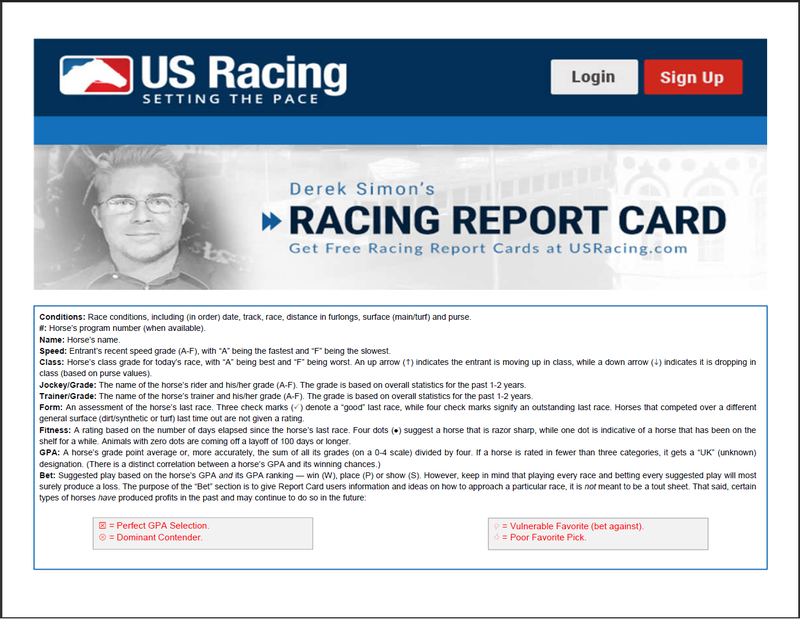 So, to help handicappers get a handle on all the wagering opportunities this weekend, I’m offering some of the handicapping reports that I use — for free. Longshot Looming in Alabama Stakes?